Summer is here and lots of people are now excited about the prospect of beach vacations. It is time to purchase vacation essentials that will make your stay by the sea a guaranteed success. While many folks do not mind sitting or lying on the sand, a majority of individuals do feel uncomfortable doing this. Hence, the answer to this dilemma is to take a quality beach chair with you. If you have one at home, it is now time to tackle the cleanup. This article will discuss what you have to do to clean beach chairs that are filled with mildew. 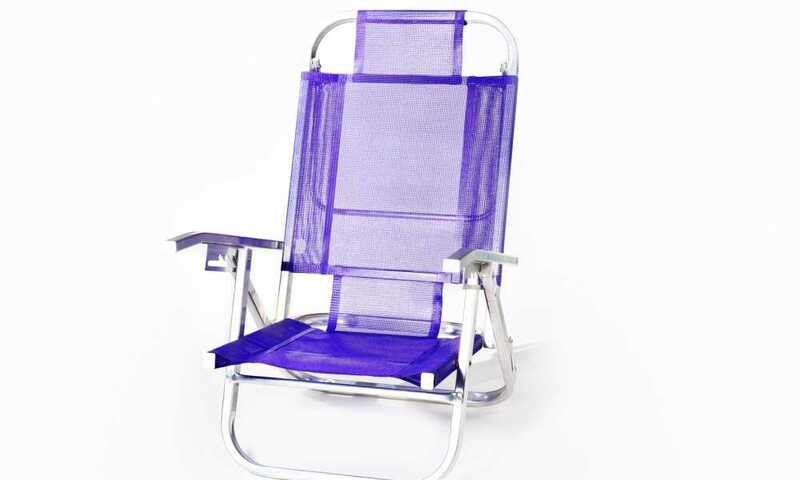 Beach chairs are available in a variety of sizes, comfort levels and materials. There are lots of styles available for it too. The chair that will prove to be the most comfortable for you would have to be a model that will cater to your needs. Beach chairs have their advantages and disadvantages, but plenty of people recognize their benefits more than their drawbacks. Of course, we have to deal with maintenance and clean-up every now and then, but if you are familiar with the steps involved in doing those procedures, clean up will be a breeze. It can be alarming to see beach chairs covered with mildew after keeping them stuck in your closet for too long. Mildew is unappealing and it destroys the excellent appearance of any item bearing it. Most important of all, it carries health risks. If mildew has taken over your beach chairs, you can easily get rid of it with a number of known household items. As soon as you have done this, your beach chairs will look good as new and be ready for their time under the sun. Here are the steps involved with cleaning beach chairs that have mildew. Load the spray dispenser or bottle with the white vinegar without diluting it. The vinegar acts as a milder form of a cleansing element, especially compared to bleach, which can be way harsh on fabrics or wood. Go ahead and spray the affected spots with the vinegar bottle. Use a sponge to wipe the chairs well. Get rid of any vinegar remains that are on the chair. In a gallon of tepid to hot water, mix a few dribs of mild liquid detergent, 1 tablespoon of lemon juice and 1 tablespoon of baking soda. Wash the chairs with this solution and rinse right after. Leave the chairs in the open so they can dry properly. Do not allow them to dry in enclosed spaces while they are still damp because the lack of air and presence of moisture often leads to the onset of mold and mildew. You can also use this method for cleaning other outdoor furniture like lawn chairs. The majority of beach chairs can be folded then kept in the garage or any preferred area. Whether the chair can be folded flat or contracts inward so it can be kept in its own case, you have to guarantee that the chair is cleaned up and free from salt and sand remnants. The chair should be cleaned prior to storage. Beach chairs are designed to be used outdoors, so make sure to clean them with a mild spray of water. Allow them to dry outside then store them in a dry spot. If you want to take care of the salt and sand that clings to the chair, you can clean it up with the use of a soft bristle brush and mild detergent. If the chair has Textilene fabric, you have to make use of a diluted solution of water and bleach to get rid of mold and mildew. It is also important to remember not to store still-damp chairs, since dry rot, mildew and mold can wear the fabric if it is stored for an extended period of time. Salt is the main factor that causes rust and corrosion on the frame of a beach chair, which is why proper clean-up is needed to maintain the chair’s integrity. For preventive maintenance, you can cover the frame base of the chair with vehicle wax. The grease on the wax will help counter water and salt. If you have beach chairs, apply the procedures needed in order to preserve their beauty.